So I dug into my closet and found this peach turtle-neck dress. 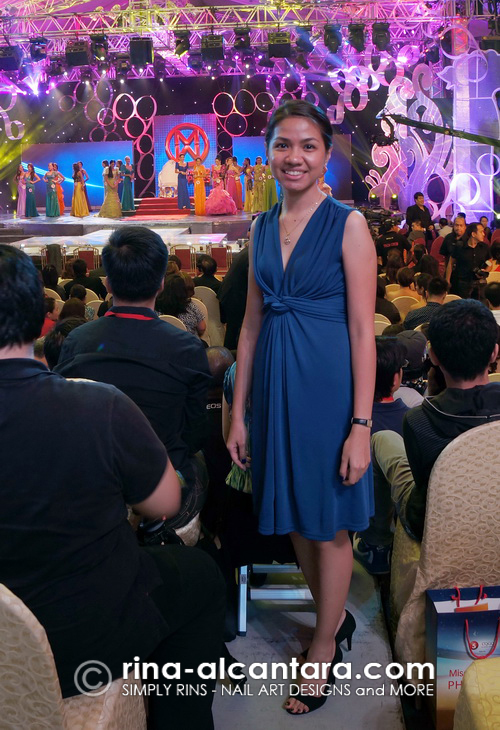 But I didn't have shoes to match so I dug deeper and found a royal blue (somewhat) dress that I think was appropriate for the occasion. I instantly knew what nail design I wanted after that. I have always wanted to try a porcelain look nail art and I figured I found the perfect opportunity to finally get into it. Since it was a semi-formal event, I decided to create accent nails and just leave the rest of the nails in plain color. Background color is Revlon 730 Royal from the Top Speed Collection in 2 coats. I reviewed and swatched some polishes from the same collection here. I hand painted the nail design using blue acrylic paint and a detailing nail art brush. I know that the design is not actually the usual one you'd see on porcelains, this is the reason I titled it like so. But the shade of blue over an almost white background gives it a similar feel and I really liked it. It is subtle and classy for the occasion. 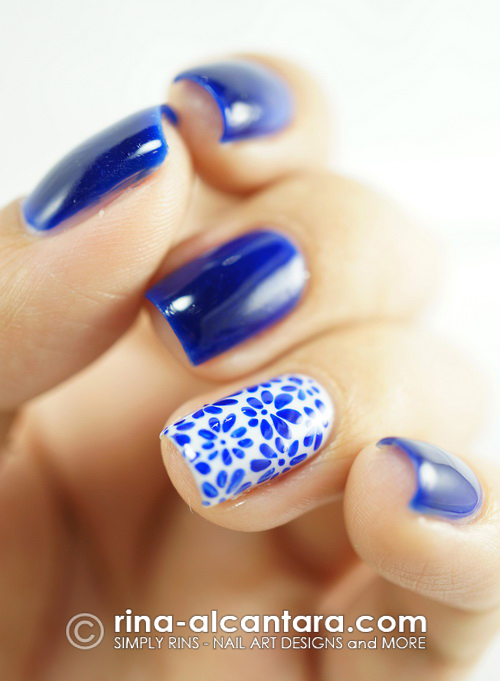 This nail design is actually a clutter of blue flowers. But I think whatever you paint using the background color and a royal blue paint will give you a porcelain look. On top of my mind right now are swirls. I think that would look fab. 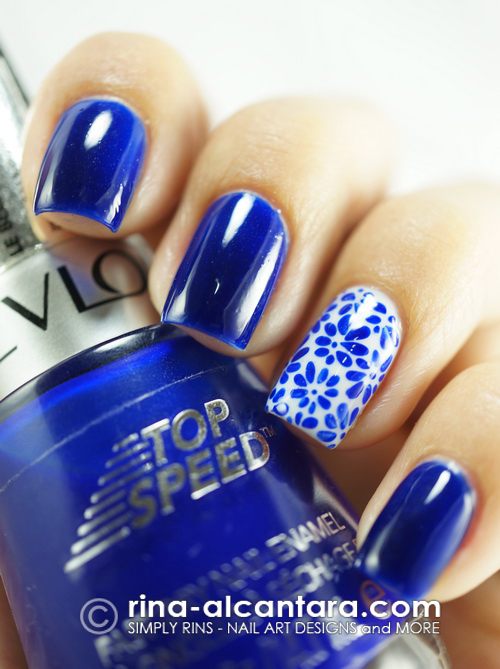 Beautiful mani. :) I love Revlon Royal and I am going to steal this idea. You looked great for your event. So pretty. You never disappoint. I love this! So glad I picked up Royal recently! Wonderful! Perfect match with your outfit! Revlon Royal is beautiful! Thanks so much for appreciating this simple nail art idea. Such a beautiful design!! Gorgeous! I see that you replied to someone else saying that you did a tutorial...that will be my next stop lol. You did such a lovely job! !